Helps Christian parents raise their children with grace and the gospel, addressing topics such as the law, God's forgiveness and love, and true heart obedience. A great resource for raising grace-filled kids. How are parents to raise children so they don't become Pharisees (legalists) or prodigals (rebels)? It's all about grace-filled, gospel-driven parenting, says the mother/daughter team of Elyse Fitzpatrick and Jessica Thompson. Christian parents, in their desire to raise godly children, can drift toward rule-centered discipline. There is, however, a far more effective method - a grace-motivated approach that begins with the glorious truth of God's love for sinners. In Give Them Grace, parents will learn how to connect the benefits of the cross - especially regeneration, adoption, and justification - to their children's daily lives. Chapters address topics such as our inability to follow the law perfectly, God's forgiveness and love displayed at the cross, and what true heart obedience looks like. Fitzpatrick and Thompson also discuss discipline, dealing with popular culture, and evangelism as a way of life. 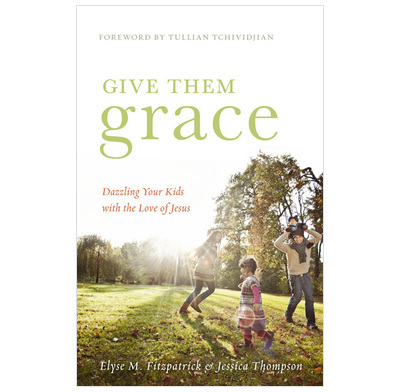 Parents will find this book a great resource for raising grace-filled, Jesus-loving kids.